April 7th is World Health Day, organized by the World Health Organization (WHO). 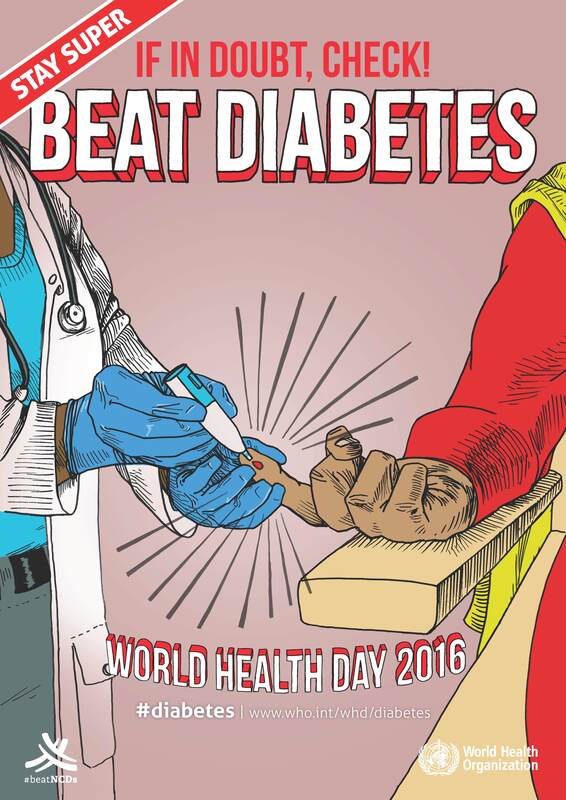 This year the focus of the World Health Day is “Beat Diabetes”. One of the most important objectives of the WHO will be to launch the first global report on the disease (The WHO Global strategy on diet, physical activity and health), which will “describe the body weight, its relation to diabetes and consequences and defend the creation of stronger health systems that ensure better surveillance, prevention and a more effective management of diabetes “. 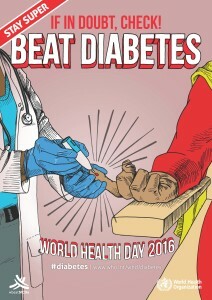 Medilink once again joins forces with the WHO with the aim of spreading the word and raising awareness about the World Health Day and Diabetes. The effort is to prevent, diagnose, treat and care for people with Diabetes. To highlight World Health Day Diabetes on April 7th, Medilink opens its door even wider to its clients, employees, families and surrounding communities by offering free blood glucose testing, blood pressure testing, presentations on healthy eating and diabetes prevention, educational posters and programs in order to help prevent and BEAT DIABETES.